Hold on tight, it’s going to be a busy day on the midway plus so much more to see and do! Have you visited the booths in the commercial tents? Have you seen the pig races or the magic show? What are you waiting for… there’s only two days left! Start your morning with Breakfast and the Horse Pull at 9am. Draft teams use “Horse Power” to pull the sled the farthest down the track. The Grandstand Concessions and Edith’s Cakes and Catering will be serving breakfast throughout the morning. Take a ride on a few carnival rides or test your skill in the midway games starting at 12 Noon. It’s Family Day on the Midway with discounts on 20 tickets for $10 or $1.25 each from 12 Noon to 5pm. Regular ticket prices resume at 5pm, 10 tickets for $10 or $1.25 each. Visit our Midway Rides Page for more information. At 1pm local and regional Farm Tractors pull the sled down the track to see who will go the farthest. This well attended event is known for a variety of tractors and quick moving show with the two sled operation by Luedtke’s Eliminator. Go to the Tractor Pull event page for more information. It’s a busy afternoon in the Farm Progress Arena with shows and auctions. Dodge County Holstein Futurity Show at 1pm and the Small Animal Auction at 4pm. Support area youth with a bid or an applause as they display their year’s accomplishments. Get your grove on; Saturday is Music Mania day in WXRO WBEV Radio Park. Show off your best or ‘worst’ talent during the Anti-Talent Show Contest from 3 to 4pm. Laughs and prizes for; Air Guitar or Air Instrument Imitation, Lip Syncing, Arm Pit Farting, Burp the Alphabet, and any other stupid human trick you can think of. Sing to your favorite music from 4 to 5pm during Kamakaze Karaoke on the Radio Park Stage. Then it’s the local band of Chelli Bri from 5 to 11:30pm with a break during the main stage performance. At 7pm see the Supreme Showmanship Contest in the Farm Progress Arena. Watch top junior and senior showmen of beef, sheep and swine projects compete against each other in showing their own animal, then showing animals in the other two species. Cassadee Pope will highlight the day as the Grandstand Stage performer at 8pm presented by WBWI 92.5FM. All seats are FREE with paid admission to the Fair and are available on a first come, first serve basis. You can sit on the track in your lawn chair or on the bleachers in the grandstands. Get more information from the Concert Seating and FAQ Pages of our website. After the concert, enjoy music in Radio Park and the Legion Tent. 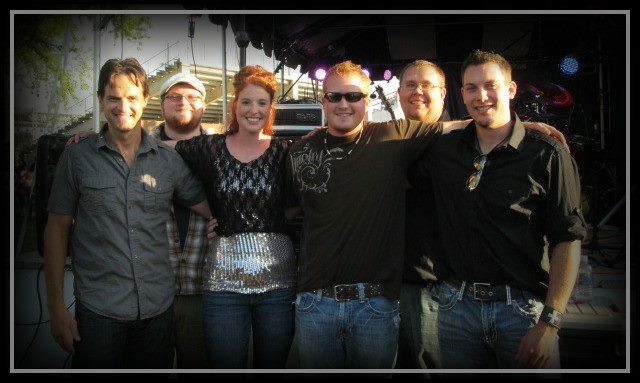 Move and groove to Chelli Bri on the WBEV/WXRO Radio Park Stage “A modern country band with a side of rock and roll”. Request your favorite tunes in the Legion tent by DJ Jeff Hall from 9 to 11:30pm sponsored by WXRO 95.3FM and WBEV 1430AM. All Day – Judging in the Youth Building and Farm Progress Arena. Join the fun in Radio Park featuring Music Mania.